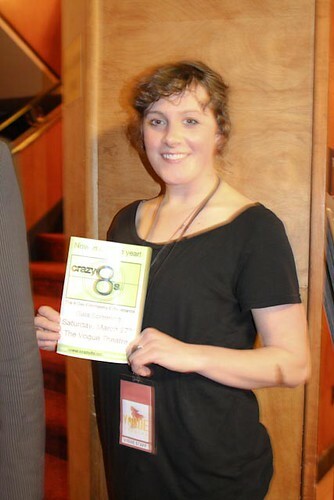 Saturday night I went to the Vogue Theatre for the Crazy8s Gala that supports local filmmakers. 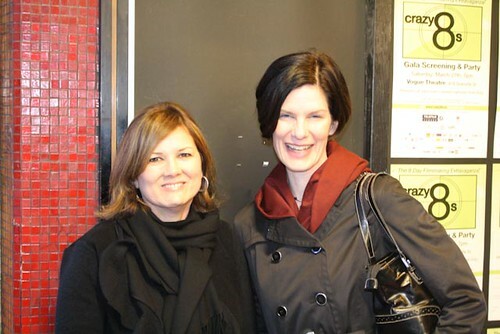 Friends in the film industry, like Robyn Wiener from Women in Film, suggested I come out and I’m glad I did because the evening was a great success. It took me Sunday to recover from a great night full of meeting many creative and inspiring people and watching six amazing short films. I could sense the buzz and excitement the minute I arrived outside the Vogue on Granville Street. There was a long line up waiting to get inside and from the talking and the look on people's faces, I knew it was going to be a good night. As I was waited for my tickets to get into the Gala, I decided to randomly approach people outside the venue for their comments on coming to the event. A young well-dressed man was standing near the entrance so I asked why he came to Crazy8s. Viv Leacock happened happened to be the actor who plays the cat Waffles in Cat vs. Man. Viv was very approachable and friendly as I asked him questions. He told me that this was his third time at Crazy8s. He was approached to audition for roles of Waffles. It was his first time working with Director Zia Marashi. It turns out that Cat vs. Man was one of my favourite films. Two women near the entrance were waiting patiently, so I approached them. It turns out they had missed getting tickets and were hoping to get into the sold out show. I spoke with Eden Philip who runs an acting studio for kids and teens called Active One Studios. This was Eden’s second year at the event, what keeps her coming back is the high quality of films and the chance to support local films. 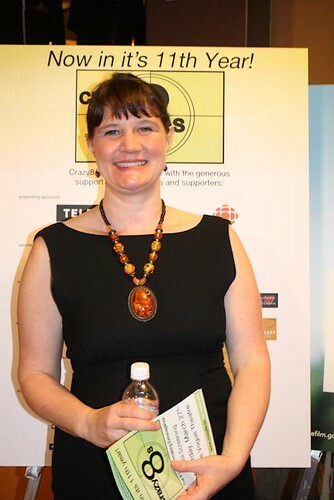 Eden was approached by Director Catrin Bowen about contributing a film as part of the “Triple Dog Dare” initiative to get more women involved in the event. Eden also looks for actors to teach acting at her studio, which shows a side economic benefit of putting together showcases like Crazy8s. I entered the Vogue Theatre lobby and felt like I was back in the 40s at a Saturday matinee show. The beauty of the theatre and the excitement of the theatre goers, reminded me of why I used to go to theatres. In the lobby in the middle of the crowd, I spoke with Jaia ‘Quarian who described himself as an “every media artist.” Jaia told me he was attending the event to learn more from other artists on how to tell stories emotionally and how to learn more about pitching and filming techniques. Based on the way that Crazy8s supports new filmmakers with workshops for producers and directors, I can imagine seeing Jaia in the event in the near future. I spotted a young woman with a camera, so I asked her if she was covering the event. 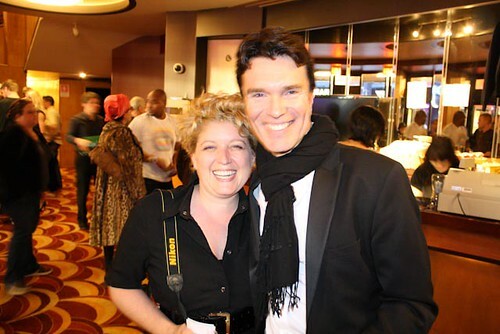 Ashley Fester is an actress who was taking photos of the event for Christopher Shyer. Ashley was sporting a 1920s style blonde bob haircut, so it was no surprise when she mentioned that she was producing Christopher Shyer’s directorial debut in the 20s Broadway Musical “the Wild Party” in May at the Anza club. It’s clear that many people at Crazy8s were taking full advantage of the opportunity to try something new, even when you’re an established actor or a professional in the film industry. Christopher Shyer is an established actor who is currently on TV show “V” for ABC, but for Crazy8s he was the producer of one of the final six films “Stupid Chainsaw Tricks.” Director Kellie Anne Benz brought Christopher in to produce the film, having work together on “Awkward”, which was presented at the 2008 Vancouver International Film Festival. He was excited about exploring film from the other side and to participate in the workshops that Crazy 8s provided for producers. 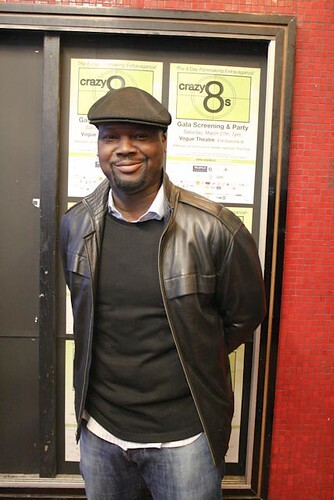 Christopher Shyer appreciated that Crazy 8s gives first time directors a chance and supports young filmmakers. The light dimmed off and on, so everyone in the lobby rushed into the movie theatre. I found my way down to the front row and sat next to Frank Roberts who is a local photographer who was capturing official images for the Crazy8s. On stage to start off the evening was host Fred Ewanuick, who captured the playful energy of the night and interacted well with the boisterous and enthusiastic audience. He made a few mistakes in his announcements, but quickly made it part of his charm in warming up the audience. It seemed appropriate for an event that was less about slick production and more about the people who love film. Eric Paulsson and Marc Stephenson, producers of Crazy8s spoke briefly after host Fred Ewanuick had everyone in the mood to watch films. Eric and Marc explained that the Crazy8s Gala is the culmination of an eight day filmmaking event. Over 110 submissions started with a video pitch. It was noted that the “Triple Dog dare” initiative to encourage more women filmmakers to pitch their films was a success as four of the six final films were directed by women. The movies were preceded by a behind-the-scenes clip about the Crazy8s process from pitch to production. 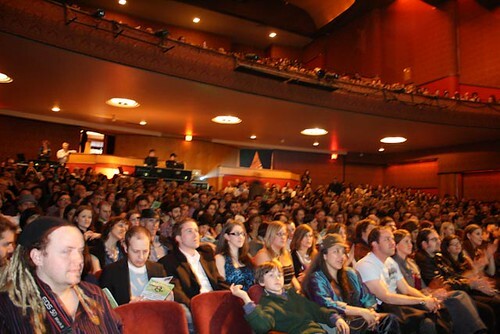 Each time the crew from one of the short films was shown on the screen, you could hear cheers and hollers from friends, family, and supporters in the crowd. The short films hadn’t started yet and I was already getting caught up in the enthusiasm and excitement in the Vogue Theatre. As someone mentioned early in the evening, there was no one winner at the Gala as all 6 finalists were winners. The producers of Crazy8s Erik Paulsson and Marc Stephenson were clearly onto something when they created the event 11 years ago, because it’s still vibrant and exciting today. I can see that everyone at the Gala was passionate about film, and supporting and growing local filmmakers. Film: Cat vs Man. Writer/Director: Zia Marashi, and Producers: Cole Hewlett & Mark MacDonald. Synopsis: "When blocked writer Rory moves in with his girlfriend, he finds himself competing with her cat, Waffles, for her affections…and Waffles won’t give her up without a fight." This film was very funny, principally because of the comedic dynamics between “The film was very funny, in part because I think many in the audience including myself has experienced something similar in our own lives. The three actors made the film fun and playful and full of laughs. Anna Mae Routledge as the girlfriend was good in her part, but the short film was focused on relationship between Viv Leacock as Waffles the cat, and Richard de Klerk as the boyfriend. What made the film most funny was when the girlfriend’s cat turned into human form and Viv Leacock was able to use his comedic talents. There’s something very funny about humanizing and verbalizing all the neurotic tendancies of cat, which was conveyed with a playful touch by Writer/Director Zia Marashi. This playful film made everyone laugh while communicating an important message, you can’t always convey. The film tells a simple story with the humour that a child can understand. I know this because the young boy sitting next to me at the theatre kept laughing. The film tells of how paranoia about people and judging people can lead to insanity. The humour of the film is that the man on her lawn doesn’t move or say anything, yet Esther lets her paranoia get the best of her to the point that she digged a tunnel under her condo to escape. This touching story highlights the lives of many immigrants who come to Canada, while leaving their families behind in their home countries. Kira Clavell as the nanny was moving in a subtle yet powerful performance. I was reminded in the end of how everyone has a story worth telling and hearing. It’s clear that everyone involved felt strongly about the message, and presented it with grace and emotional beauty. The film plays on the stereotypes of teenagers and the media perpetuation of the ideas to make money. Mixing funny dialogue and well crafted songs in the style of TV shows like Glee, the film does a great job of making us laugh at ourselves as a consumer society. The song’s lyrics and music were well done, with the lyrics satirical humour being well sung by the film’s cast. I was very impressed at the quality of the songs, considering having only an eight day time line to complete the work. This film was full of life and energy. This movie had the tone of a children’s story, based on a simple yet poignant idea that the Sad Bear character can take away our sadness by taking our saddest belongings. The film was minimalist in approach as the Sad Bear didn’t speak but simply followed the main character Steve around waiting for him to give up his saddest belongings. It was a sweet story that presented a beautiful story idea in a new and thoughtful way. 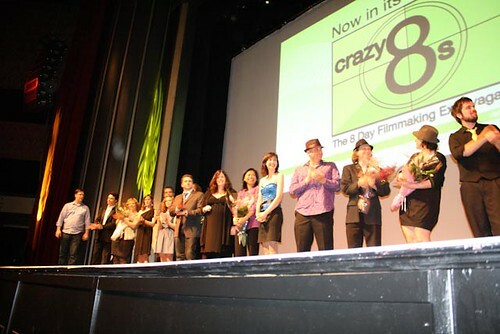 Crazy8’s slogan is “tell a great story in ten minutes or less”, and every film shown was so well crafted and acted that you forgot the limited production time (8 days) and budget ($800) they had to put together the films. 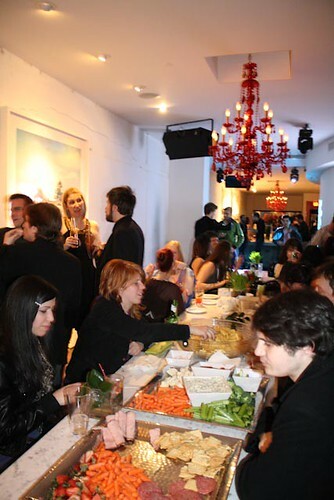 After the Gala was over, the event carried over to the after-party at the grand opening of the new club 560 on Seymour. When I arrived on Seymour, there was a long line up down the block. Everyone seemed ready to let loose after the Crazy8s' week long experience. 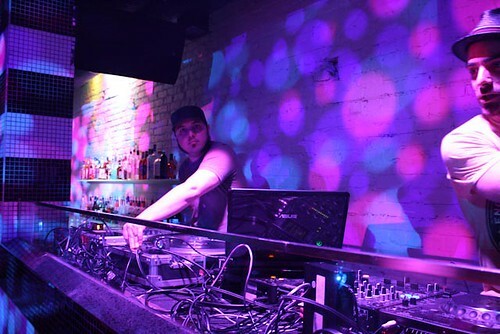 The club is located at the location of the old A&B Sound at 560 Seymour Street. After following a curvy hallway into the club, you notice the beautiful and big wooden dance floor and the creative lighting. I liked the second floor VIP room which has a glass railing that you can lean on and look down at the dancers on the main floor. 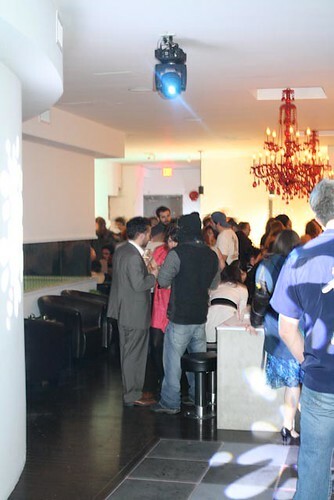 The club filled up fairly quickly, inspired by DJ’s Timothy Wisdom, DJ Mars, and from New York, DJ Honey Dijon. 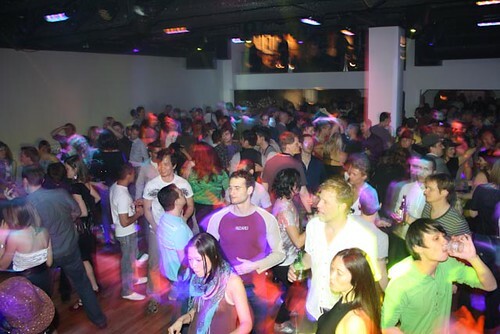 In another room, there was a completely different feeling with a long table and sofas for people to hang out, talk, or just chill out from dancing. There was art work along the walls and funky colourful chandeliers on the ceilings. 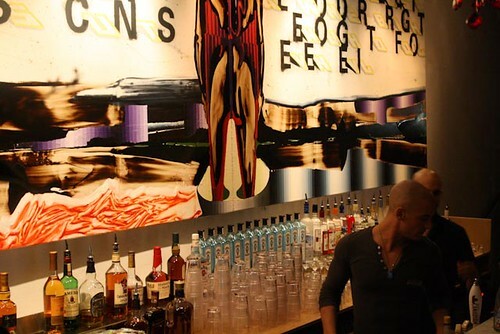 At the far end of the room was a bar and a huge art piece hanging behind the bar. Overall the night was filled with great people, film, art, and music. What more could one ask for on a night in Vancouver? 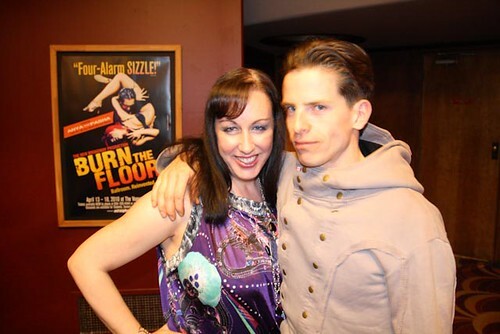 Film producer Robyn Wiener and Jaia 'Quarian artist in Vogue theatre lobby. 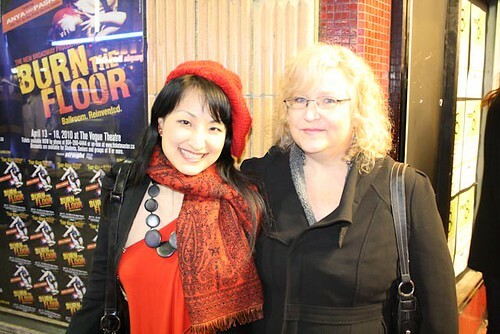 Crazy8s Event and Communications Co-ordinator Diana Wilson, and Vogue staff member Andrea Simmonds. 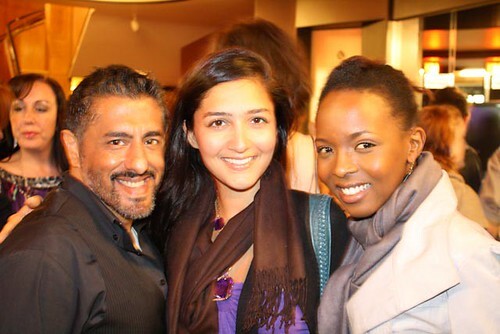 Actors Parm Soor, Parisa Kasaei, and Mireille Urumuri in Vogue theatre lobby. Second room at 560 club. Second Bar at 560 club on Seymour st.